Vintage Hair From the 40’s and 50’s is Hot! Try a twist on a classic 40’s or 50’s hair for a cool new look. 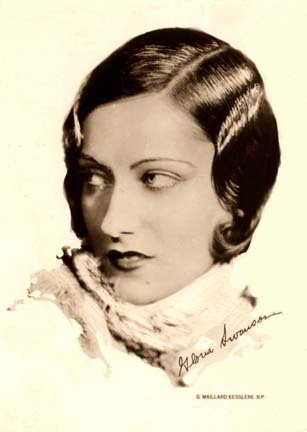 More and more Indy hairdressers are getting requests to bring back vintage hair. “Vintage hair is really the big thing right nowVintage hair is really the big thing right now,” said Jason Hagemier, hair cutting coach at Reeda Todd / Aveda Lifestyle Spa/Salon. The new vintage hair styles might have something to do with the November release of “Walk the Line,” in which Joaquin Phoenix sports a sculpted pompadour and Reese Witherspoon’s mid-century curls crown her head. But vintage hair seen today often takes a modern spin on Hollywood glamour of the 40’s, 50’s and 60’s. Hagemier said ladies are looking to mimic the Gwen Stefani look — a 50’s retro vintage hair style that has been coined the “mush and pin,” a messier hair style with volume that he said requires some backcombing and pinning. And men, deep into rockabilly music and culture, often steer straight for pompadour peaks.The 50’s updo and vintage hair waves. Anyone can wear an updo, according to Hagemier. All you have to do is pile your hair on top of your head . . . fashionably. When contemplating an updo, Hagemier recommends hair styles that flatter the shape of the person’s face. If you’re not going for the updo look, hair can still maintain a vintage hair style by pinning a section of hair into a roll in the front and creating medium-sized hair wave around the rest of your head. For pictures of great looks check out our Pinterest Curly Hairstyles and Wavy Hairstyles Boards. November 10, 2012 By: Barb Quinn Hairstyle Blog Leave your comments (0), Your input matters.